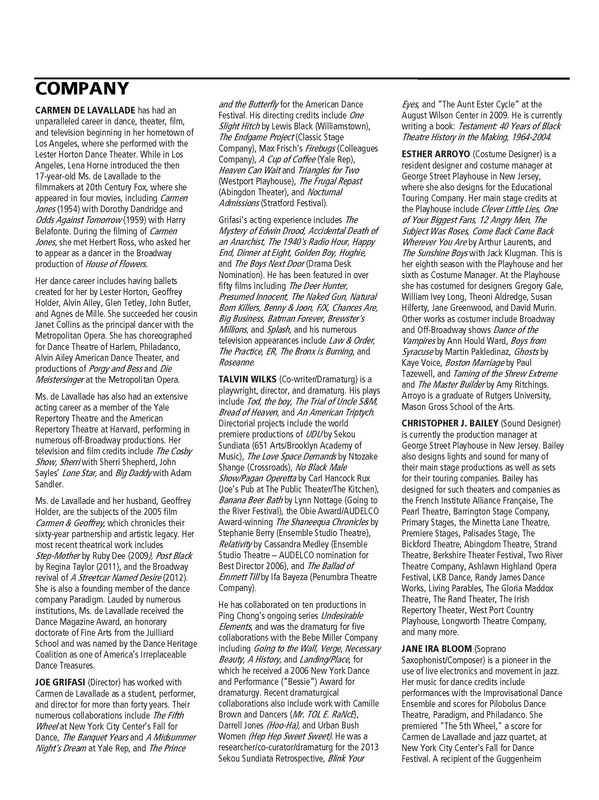 From her 1953 Jacob’s Pillow debut with Lester Horton Dance Theatre to her most recent performances in 2014, Carmen de Lavallade has achieved the longest Pillow performing career on record. 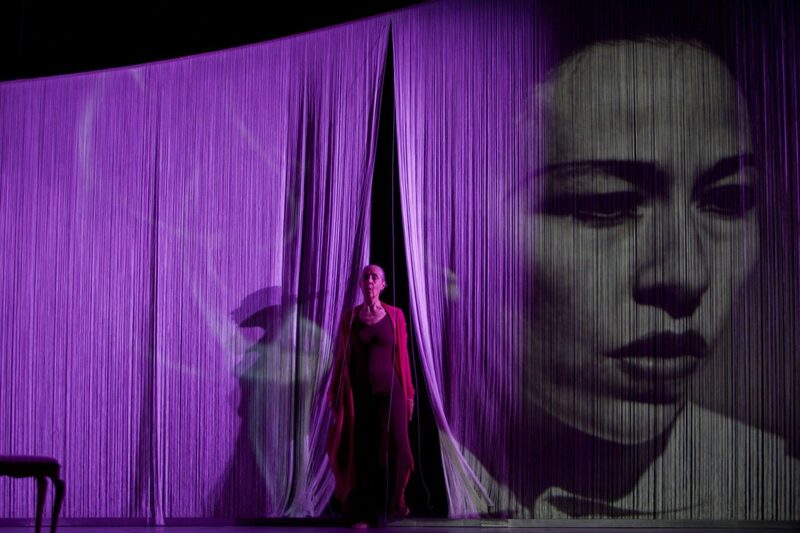 Carmen de Lavallade has made her mark time and time again as a performer, an exquisite performer. 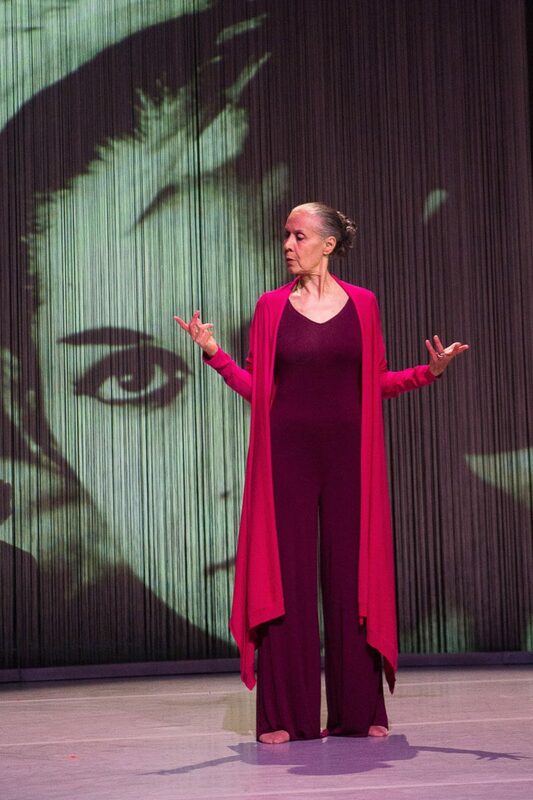 She holds the record for the longest performing career at Jacob’s Pillow, beginning in 1953, and most recently in 2014 with her evening-length show As I Remember It. De Lavallade started dancing after being inspired by her cousin, Janet Collins, an African American ballet dancer, who many argue was denied the fame she richly deserved because of her race. Walter Terry, from New York Herald Tribune, April 5, 1953, reprinted in Terry’s I WAS THERE, 1979. De Lavallade’s first Pillow appearance was with Lester Horton, alongside her high school friend, fellow dancer Alvin Ailey. Since then, she has had dances made for her by Alvin Ailey, of course, but also by a wide-ranging roster of North American choreographers such as Agnes de Mille, Glen Tetley, and Geoffrey Holder. She has returned to the Pillow many times, premiering John Butler’s signature work Portrait of Billie in 1960. In 1992, de Lavallade reprised Butler’s work, dancing with Ulysses Dove in a single Pillow performance that was coached by Butler himself. 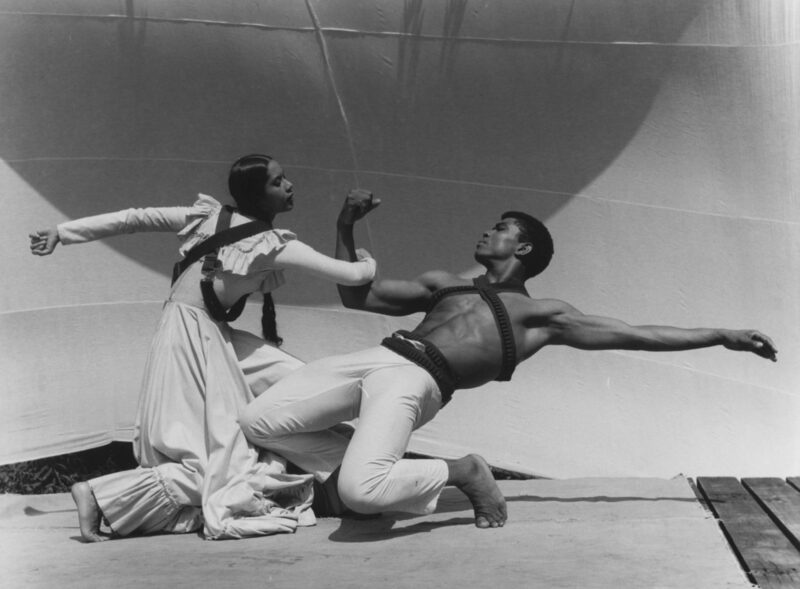 Ailey, Revelations: The Autobiography of Alvin Ailey, 1995 She has also reprised solos made by Ruth St. Denis, notably on the Jacob’s Pillow Gala in 1997. In 2004, de Lavallade appeared at the Pillow with Paradigm, the trio company founded with Gus Solomons jr and Dudley Williams in 1998. (It was not these dancers’ first appearance together at the Pillow. In 1963, they danced Donald McKayle’s signature piece Rainbow ‘Round My Shoulder.) 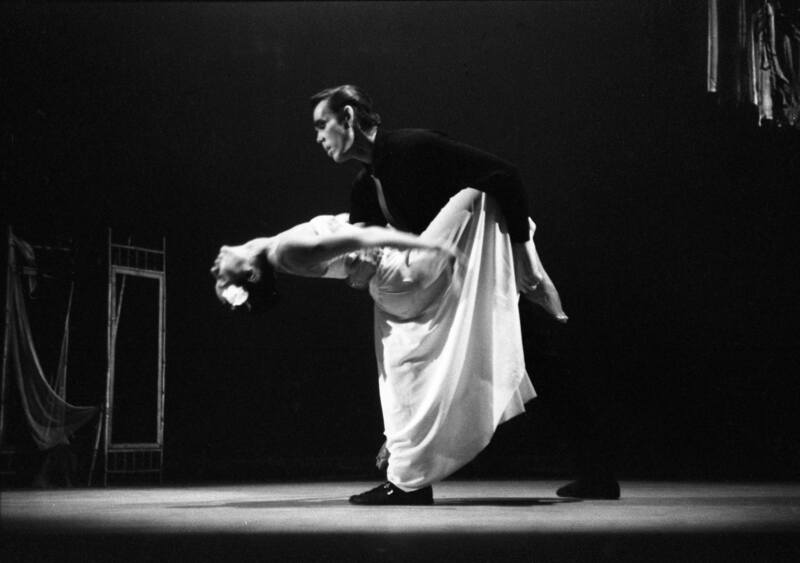 She performed three works on that program, including two world premieres, Verdi for Three, choreographed by Richard Move, and Kay Cummings’s Texture. Dwight Rhoden’s It All (2001) showed the beauty and majesty of de Lavallade and Solomons together. Building on complex rhythms in the accompanying Bjork music, Rhoden draws on the expressivity of gesture and posture. 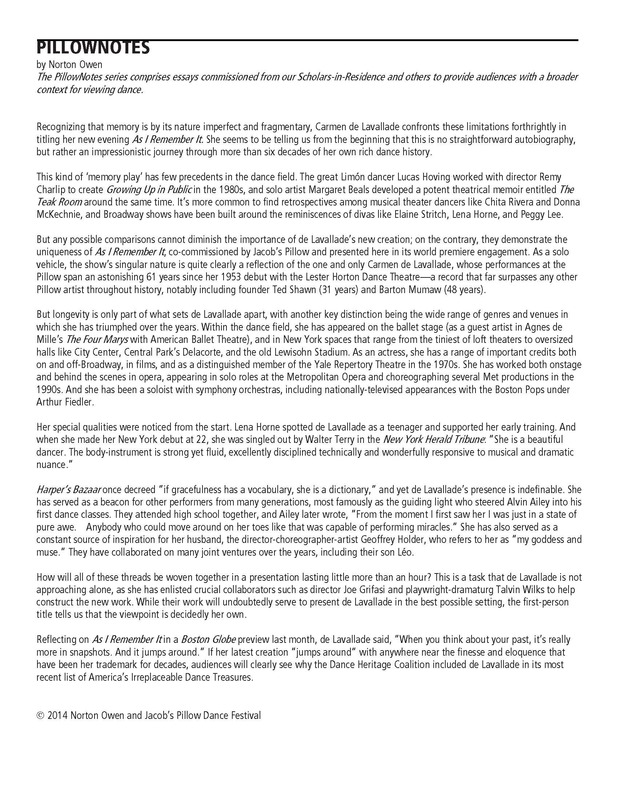 The piece also abstracts the tension of a tango and the inherent challenge between partners in that form. 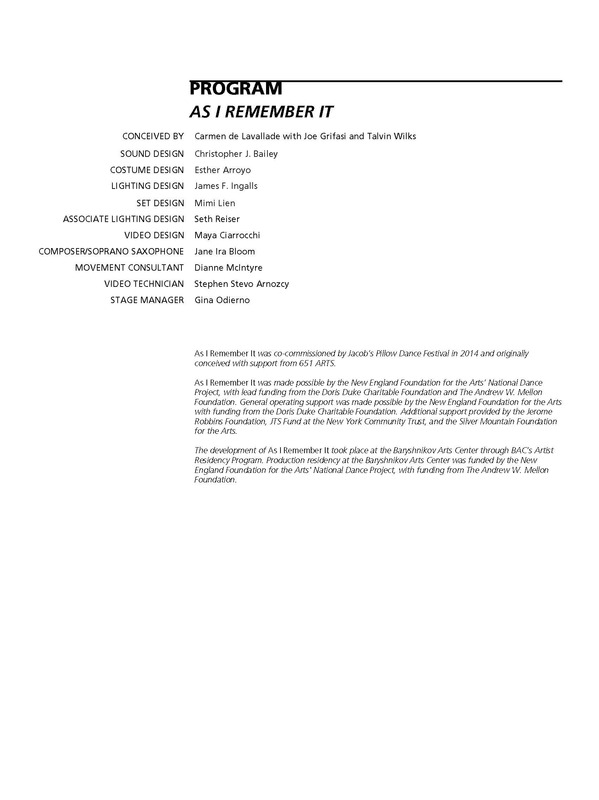 The work explores the history of a relationship and its ongoingness. 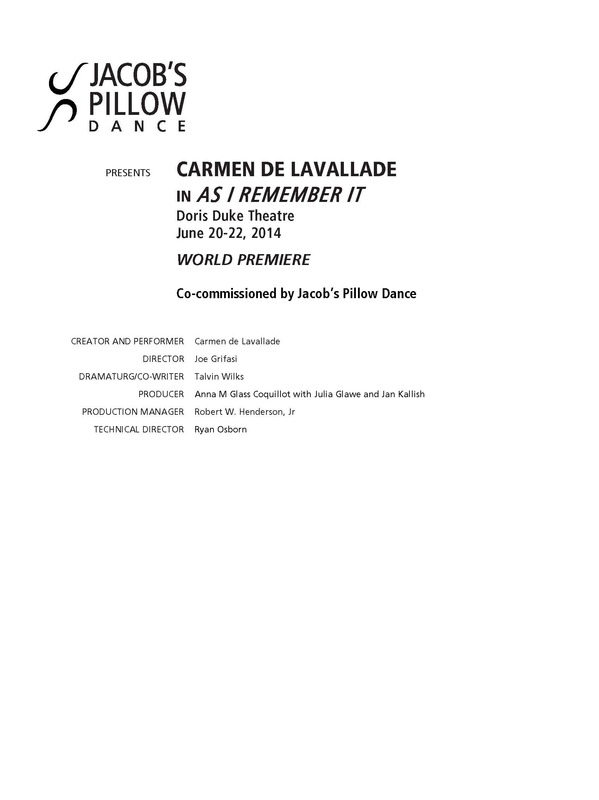 The Pillow co-commissioned the creation and performance of the world premiere of As I Remember It from de Lavallade in 2014. 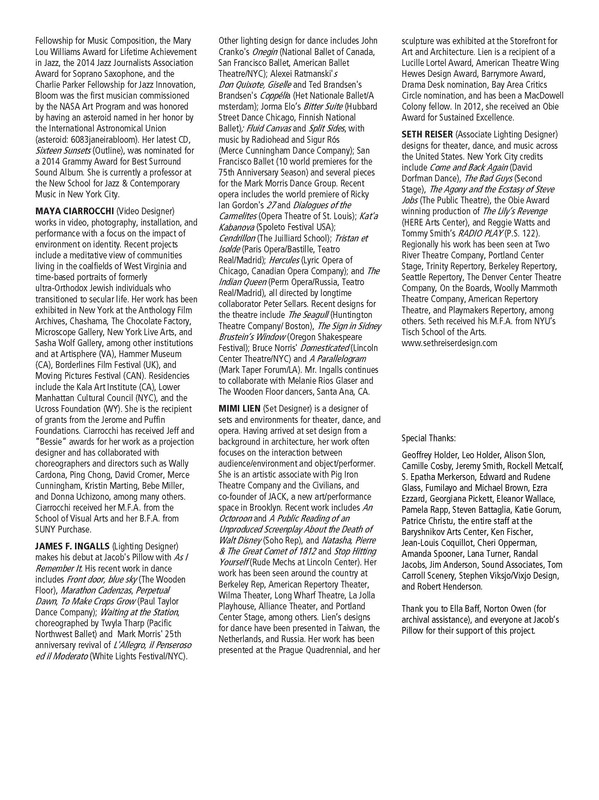 Post-Show Talk with Carmen de Lavallade, Joe Grifasi, and Talvin Wilks, moderated by Norton Owen, 2014. In an interview in 1979, de Lavallade remarked: “You can take a lifetime to discover what you want to say in your art.” With her six plus decades as a performer, de Lavallade has shared her discoveries with generations of dance audiences.